Every spring I hunt for a new sandal to take me right through summer; usually tan in colour for versatility with a wear-anywhere mid-heel. This season was no different and after trying on a few pairs that just didn’t quite cut it, the lovely people at Jones Bootmaker invited me to choose my favourite pair of shoes from their current collection. After being tempted by the (now sold out online) coloured woven Jasper style, above, as a great statement every day sandal (if you see these in your local store, don’t miss out! 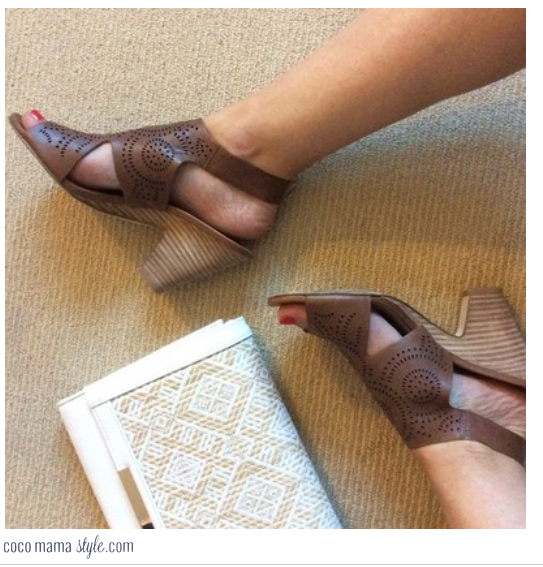 ), I chose to fill the gap in my shoe-drobe with a 2015 update on my regular wear-with-everything-in-may-till-september mid-heel sandals: the Ice style. And if you’re wondering why I need to fill this gap annually, it’s because I really do wear them all the time, so they are more than a bit tired come the autumn, honest. Supersoft, raw-edged leather with a wide ankle strap = comfort guaranteed. 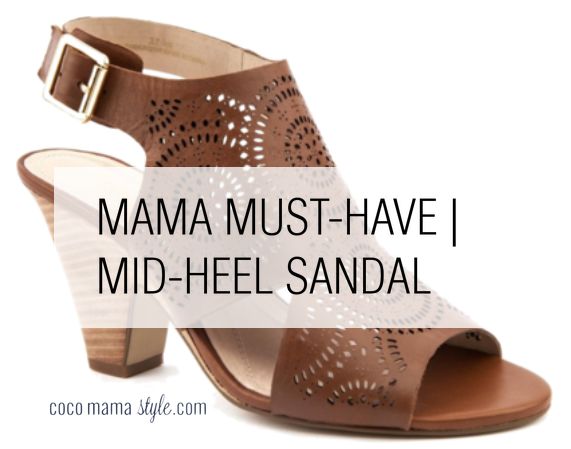 Wooden heels mean no scuffs, so they look newer for longer. Laser-cut leather creates the perfect opportunity to add interest to your look. Mix textures in neutral tones. 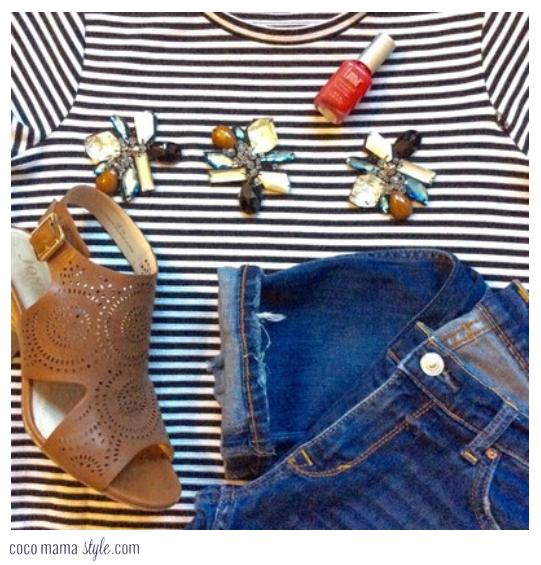 From where I stand: perfect with denim for easy summer style. 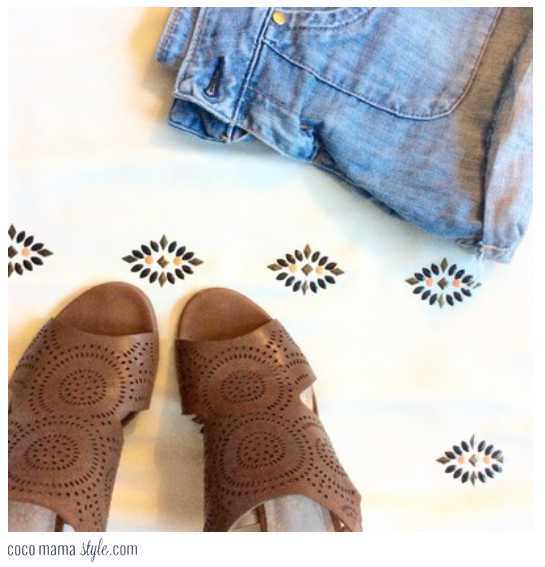 Denim cut-offs + embellished top + tan sandals = hello summer! Add tan sandals to turned-up slim boyfriend jeans and your trusty striped tee (both, Zara) for your summer uniform when it’s cloudy. Coral or neon toes will pop against the tan leather. Take one denim playsuit, add texture and print with accessories and colour with a bright belt. 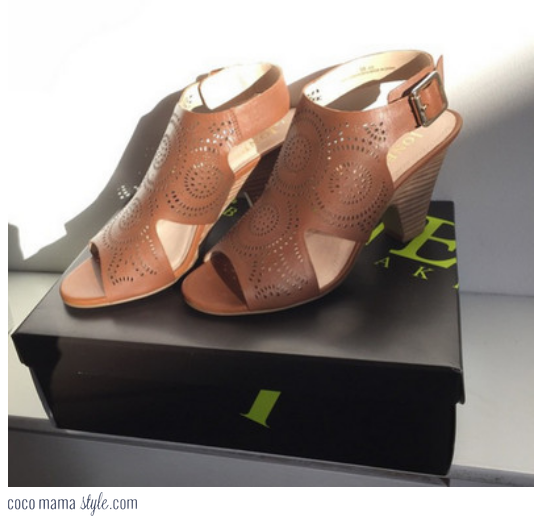 Thank you to Jones Bootmaker for inviting me to review these sandals. 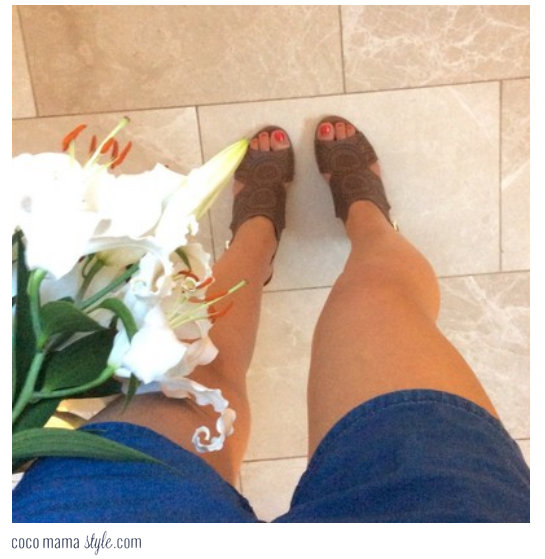 Ah, looks like my original comment didn’t show up – but these sandals sounded perfect. So I bought them and they are!